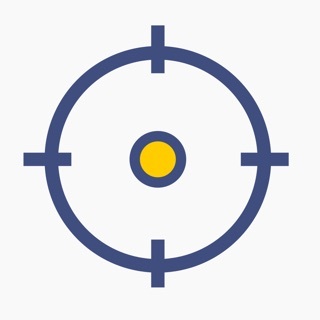 WiFi Explorer Lite is a wireless network discovery tool that can help you identify channel conflicts and basic configuration problems that may be affecting the connectivity or performance of your home or office Wi-Fi network. For advanced scanning, monitoring and troubleshooting of wireless networks, consider WiFi Explorer. 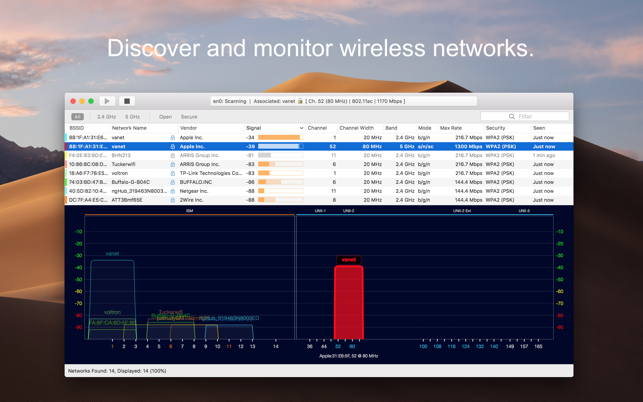 If you find WiFi Explorer Lite useful and have a couple of minutes, please share your thoughts by leaving a review in the Mac App Store. It will make a huge difference to me! Works perfectly. Surprisingly, our wifi was set to auto detect the best channel but always picked the one with intereference. This app allowed me to see all the wifi signals in my office and identify the one that was interefering with us and find an open channel. Great App! Not terribly useful other than in seeing the wifis within range of your computer. It is interesting.